HYANNIS – [DEVELOPING] – As you will see in the following HN Video, a man was bitten by a large snake wandering his neighborhood. After 7:00 PM, Barnstable Police Officers were dispatched to Hiramar Road to deal with the snake. The snake was relatively large and did not appear to be native to the Hyannis area. 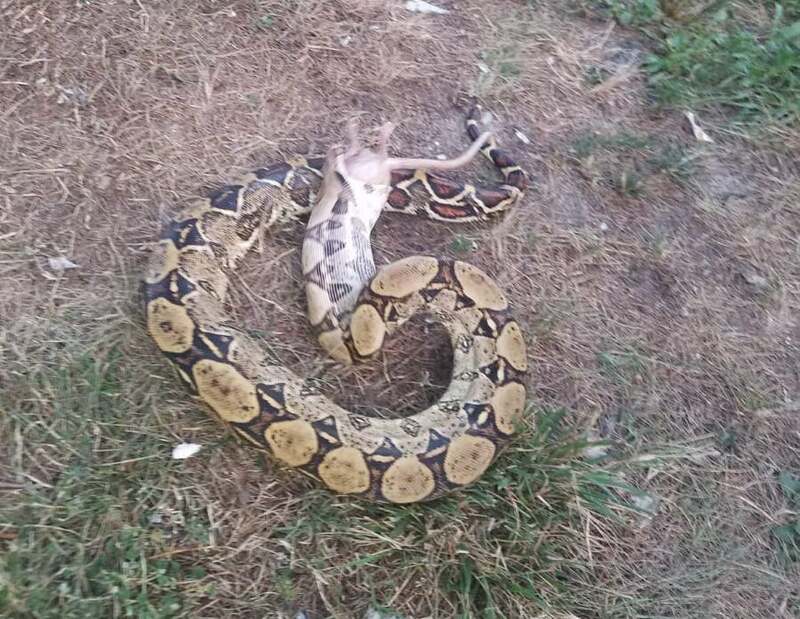 According to witnesses the snake had been chomping on a rat that it eventually spit out. The rat was discarded in a nearby dumpster. The young man had been trying to wrangle the snake when he was somehow bitten. The snake would not let go and the man had to eventually yank his wrist free. After noticing the snake’s fang still lodged beneath his skin… that, and the fact he may not have had a prior tetanus shot… and that the rat chomping snake may have been a carrier of infection… along with the urging of others at the scene, the man decided he would let Hyannis Rescue evaluate his bite wound.